Have you been searching for that perfect, dramatic backdrop for your party? 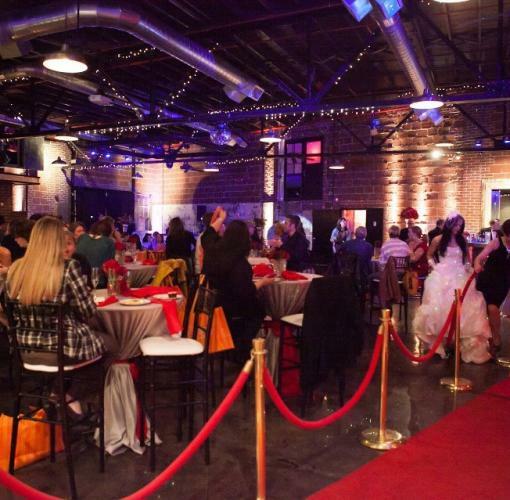 Experience Tulsa's urban event center: The Broadway. Wedding receptions, birthdays, anniversaries, reunions, office parties, holiday parties, ..... it is your party, your vision, and we can help you achieve it here! The Broadway can accomodate over 200 people depending upon configuration. We are located in vintage downtown Tulsa and will deliver your vision, your way. Call us to schedule a time to stop in and see it for yourself!